Eric Smola said he was attracted to Evergreen Local Schools by its strong academics and community support. 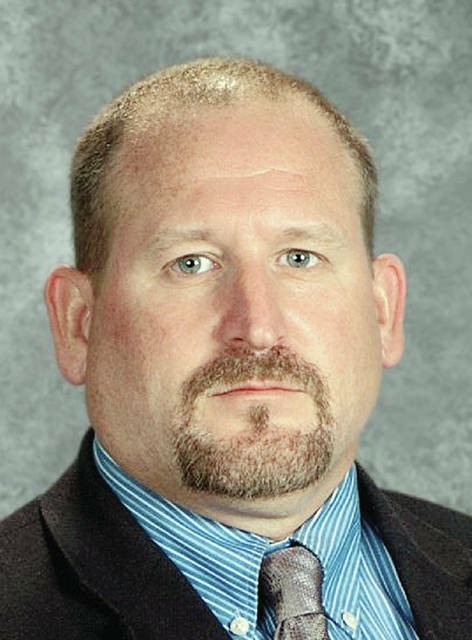 The district’s new superintendent will take the helm Aug. 1. He replaces Jim Wyse, who will become superintendent of the Millcreek-West Unity school district. This will be Smola’s first position as a school superintendent. The longtime principal of St. Francis de Sales High School in Toledo always considered a superintendency one of his career goals. “I’ve been working toward it, and I saw now was a good opportunity to transition to a superintendent’s position,” he said. A native of Fremont, Smola, 46, earned a Bachelor’s degree in Education with secondary comprehensive social studies, and a Master of Education in Administration Supervision, both from the University of Toledo. He is currently enrolled in a doctoral program at the University of Findlay. Formerly, he also served as a social studies teacher at St. Francis de Sales, and as principal at Rosary Cathedral Elementary School in Toledo. Smola pursued the position at Evergreen schools due to the strong community support of the district and the schools’ strong academic program and record. He also appreciated the size of the school district. “I thought Evergreen would be a good fit. It’s a community that really supports schools, and that’s what I was looking for,” he said. He won’t enter the position with a prepared agenda, and said, frankly, he doesn’t need one. What he will ask the district school board is to develop a strategic plan of improvement if it doesn’t already have one. Smola said he wants all factions involved in the planning, including community members. Interaction with community members has so far been positive, and Smola intends to be visible and accessible at community events. Evergreen Board of Education President Nora Kiefer said there were multiple good candidates for the job but Smola stood out. Married to Michele, and with daughters Kate and Ella ready to enter Evergreen classes, Smola believes a good leader begins with a passion for students and education. “You have to be knowledgeable about the educational process. And I think communication skills are essential, especially the skill to listen,” he said.